I perused this news time the other day from The Manila Standard. The Mislatel Group is the new major telecommunications player in the Philippines. Consequently, they will challenge the stifling duopoly of PLDT Inc. and Globe Telecom Inc. The Crust Old Expat is as happy as a hog in mud to hear this news. The Philippines has some of the slowest Internet speeds in all the world. Together with Udenna Corp. and Chelsea Logistics Holdings Corp. of businessman Dennis Uy, China Telecom will be part of the Mislatel group. Some folks might be concerned with China Telecom’s involvement in the Philippine’s telecommunication network. However, the Chinese telecom has to go through an extreme vetting process. The Department of Information and Communications Technology, DICT, signed a joint letter of intent with China Telecommunications Corp. DICT’s existing cable landing station will be used along with the latter’s submarine cable. China Telecom’s international submarine telecommunications cable will directly connect Hong Kong, the United States and the Philippines. The facility uses optical fiber technology to carry signal and digital data, including telephone and internet traffic, across oceans and seas. With the submarine broadband infrastructure, the DICT in cooperation with China Telecommunications, expect to ease up traffic and speed up internet connectivity. Internet service should be more accessible, reliable and affordable for more Filipinos. Furthermore, the company plans to cover 84 percent of the population in five years and 34 percent in its first year of operation. 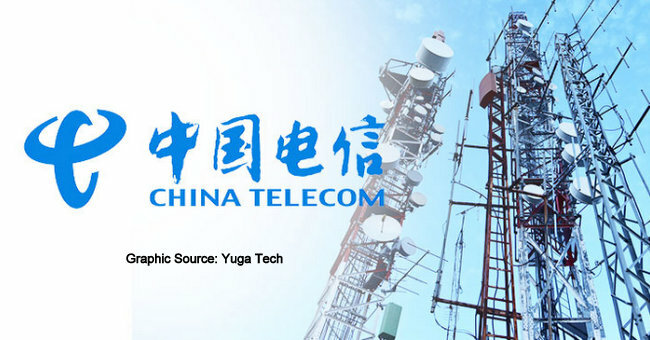 However, it’s doubtful that our tiny island province of Guimaras will be on China Telecom’s radar anytime soon. However, Globe upgraded our local tower to LTE service recently. As a result, my Internet speed has greatly increased. More on the upgrade in a future post.